The task pending since 1988 has been completed by Alex Txikon, Simone Moro and Ali Sadpara at around 15:40hrs local time, today. 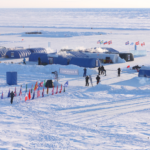 The task pending since 1988 has been completed by Alex Txikon, Simone Moro and Ali Sadpara at around 15:40hrs local time, today. 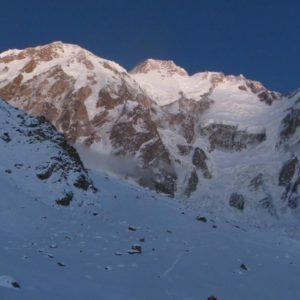 The first winter ascent of Nanga Parbat was confirmed by Base Camp, who had been in radio contact with climbers. The ‘fantastic’ fourth member of the team, Tamara Lunger, had to stop a little short of summit, unfortunately. Precise details of her exit are not known, yet. The climbers are already coming down. They will spend the night in C4 and retreat to BC, tomorrow. 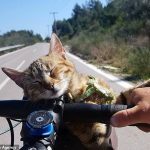 Weather remains favorable. 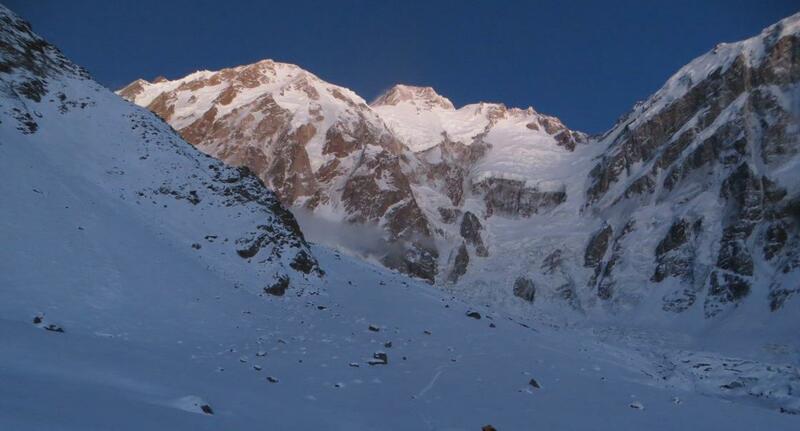 Weather windows on Nanga Parbat in winter are never long enough. To utilize the current window, the team climbed lower portion of the mountain in bad weather. 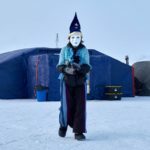 They were already in C2 when actual good conditions arrived. They utilized next three days to reach the top. 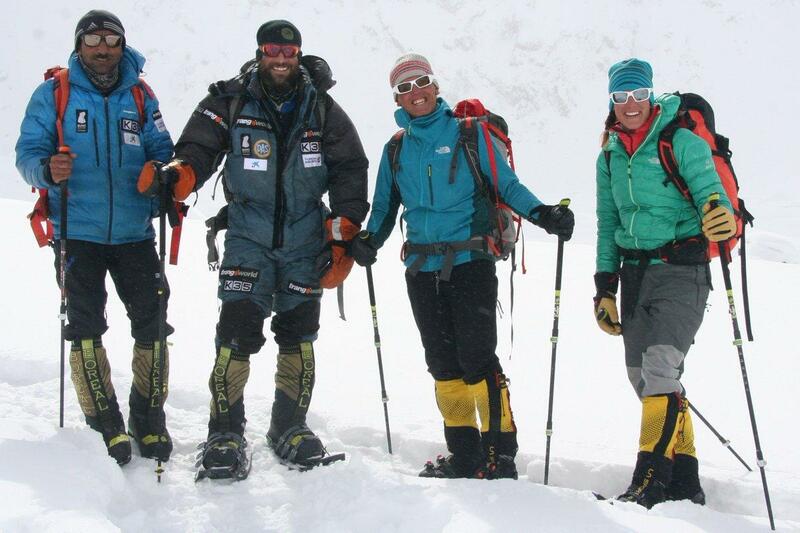 Alex Txikon, Ali Sadpara, Tamara Lunger and Simone Moro left Base Camp on February 22nd. After battling harsh wind and difficult climbing conditions, they reach C2 (6100m) at around 1700hrs. The marathon 2000 meters ascent consumed around 11 hrs. The hurricane winds continued throughout the night and following day. They spent the time hydrating, resting and waiting for improvement in conditions. The windstorm finally receded at around 2AM on Feb 24th. 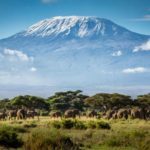 The climbers were ready to grab the opportunity to resume the ascent. 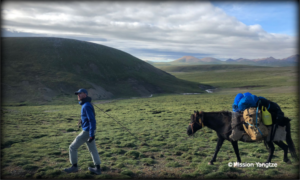 On 24th, they reached C3 (6700m). On 25th, the four climbers set up C4 (7100m) at the edge of Bazhin Basin. The final summit push started at around 06AM, this morning. 1. 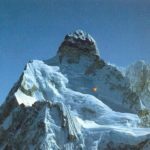 First winter expedition to any 8000m peak dates back to 1974, when Poles – led by Andrzej Zawada – attempted Lhotse. The attempt ended at 8250m. 3. 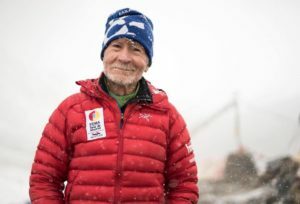 Out of 14, thirteen eight-thousanders have been climbed in winter now. 4. 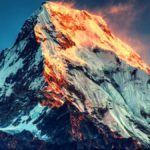 K2 is the only mountain still unclimbed in winter. 5. 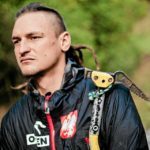 Nine out of twelve first ascents have been accomplished by Polish teams. 6. 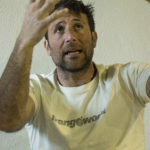 Simone Moro revived the winter climbing when he scaled Shishapangma in winter 2005. 8. Nanga Parbat was first attempted in winter 1988/89. 9. 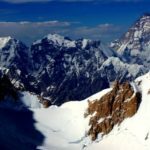 Nanga Parbat is the mountain with most winter attempts – 31! 10. 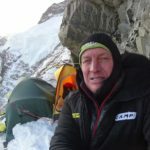 Tomek Mackiewicz has attempted Nanga Parbat six times in winter. 12. 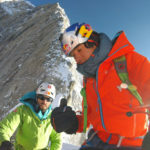 Simone Moro has made first winter ascent of four 8000m peaks. 13. 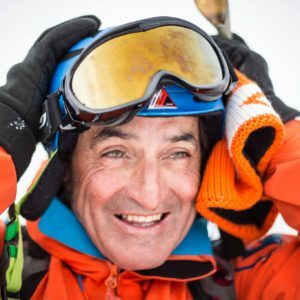 Ali Sadpara is first Pakistani to achieve first winter ascent of an 8000m peak. 14. 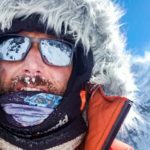 Alex Txikon is first Spaniard to achieve first winter ascent of an 8000m peak.